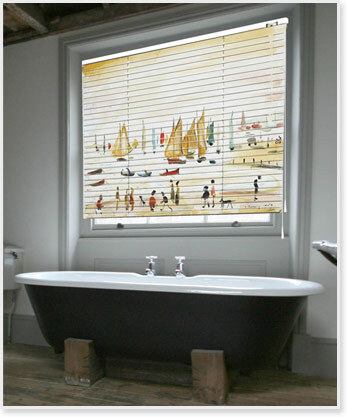 Our printed Venetian blinds are an ideal choice if you’re looking for a contemporary window dressing with clean lines that is simple to maintain, and will add a real wow factor to your room. Choosing an image from our extensive online Gallery, or a photograph from your own photo album for a Photo blind, you can transform any window space, either in the home or an office environment. Made from aluminium slatting, and with a digitally-printed finish, our printed Venetian blinds allow you excellent control of the amount of light that comes into your room. They’re a great choice for protecting privacy - by tilting the slats at a certain angle and enabling visibility from inside to outside, but not the other way around - so perfect for both homes and commercial environments.